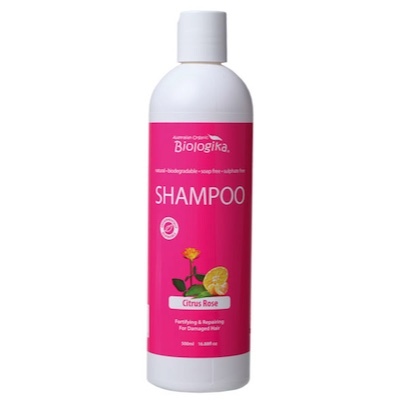 A rich and penetrating shampoo formulated to strengthen hair. It contains organic shea butter which is rich in vitamin A and E. It intensely repairs and helps in retaining elasticity of the hair; organic passion flower is added for its relaxing and balancing properties; organic goji berry delivers high antioxidant properties. The combination of these precious butters and extracts in this shampoo will instantly penetrate, gently cleanse your hair and scalp. Ingredients: Purified water, organic aloe vera juice, coco polyglucoside, organic shea butter, organic extracts of goji berry and passion flower, decylglucoside, locust bean gum, rose geranium pure essential oil, organic mandarin red oil, citrus seed extract, olive leaf extract, potassium sorbate and citric acid.